GOV.UK is the new place for corporate and policy information from the Advisory Council on the Misuse of Drugs. The Advisory Council on the Misuse of Drugs has now moved its content to the new GOV.UK website, joining 16 other departments whose content moved to GOV.UK between November 2012 and March 2013. Content from all remaining departments will be brought into the site in the coming few months. And there are a number of features mean the website will be much easier to use, allowing you to find the latest information much faster. 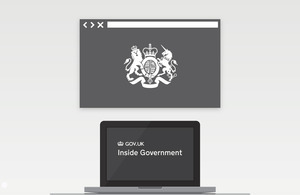 There are new ways to search on GOV.UK including an advanced publications search that allows you to filter by keyword, publication type, topic, department and date. If you are interested in the workings of government you will be able to see information from multiple government departments grouped by topic.